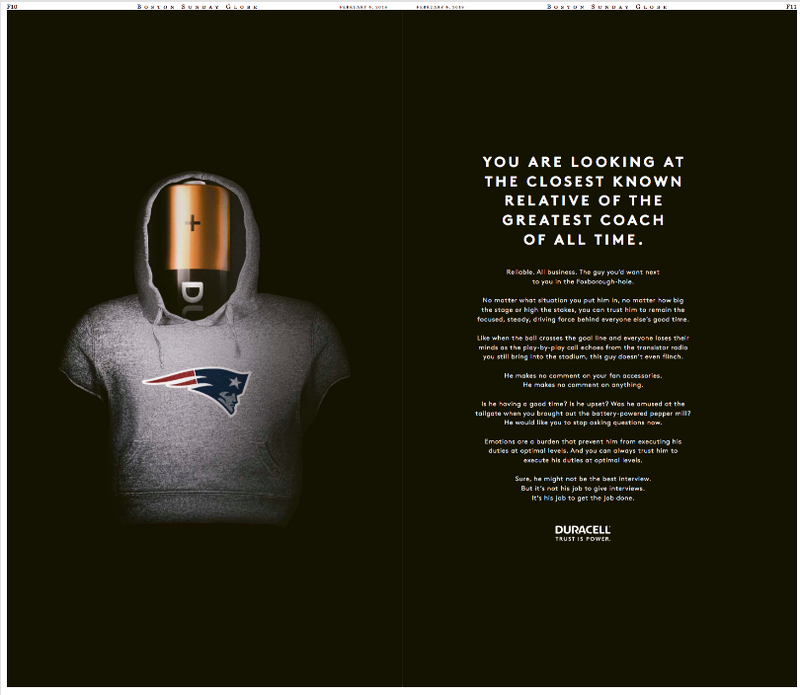 One week after the stunning Super Bowl win by the New England Patriots, the Boston Globe has published its obligatory Special Commemorative Section. 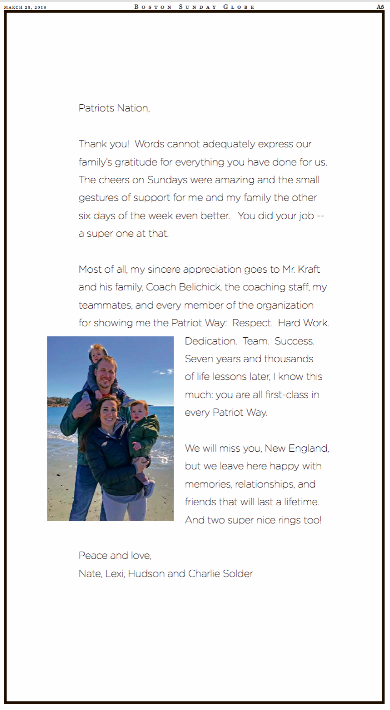 The 26-page celebration of all things Pats is chockablock with advertising such as this ad from Marty Walsh & the People of Boston, which features so many logos you’d think Walsh was Mayor of NASCAR. 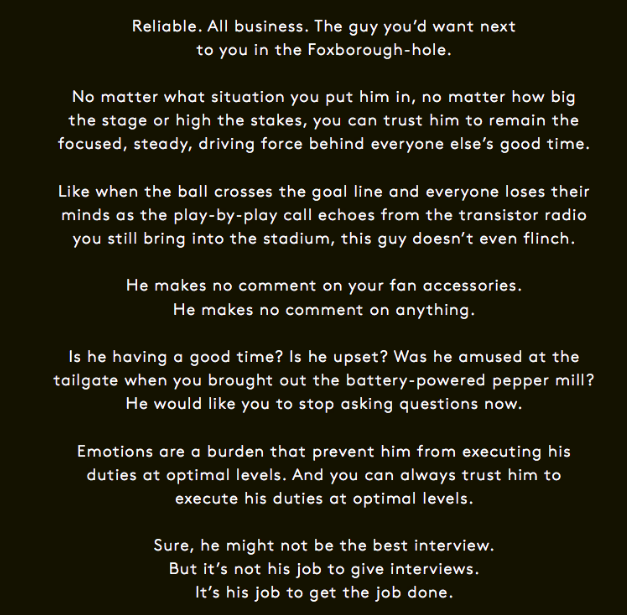 All told, there are five full-page ads in the section (everyone from Bob’s Discount Furniture to TAG Heuer) and ten half-page ads (ranging from Tostitos to Rutgers Football). An adstravaganza, in other words. 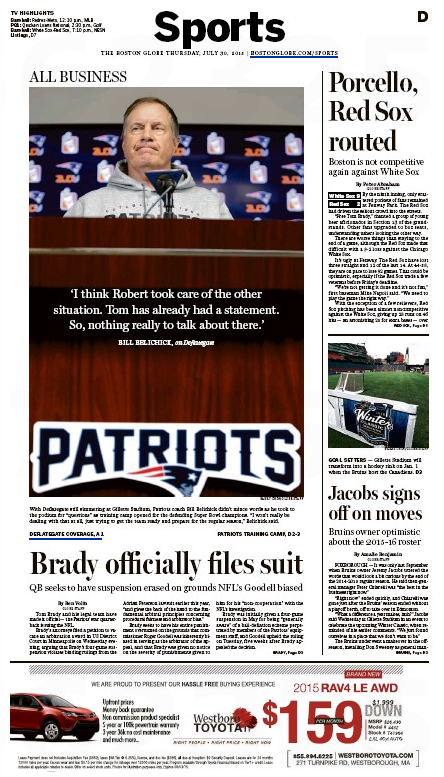 Crosstown at the Boston Herald, meanwhile, there’s no special section, just the regular Sunday Sports. 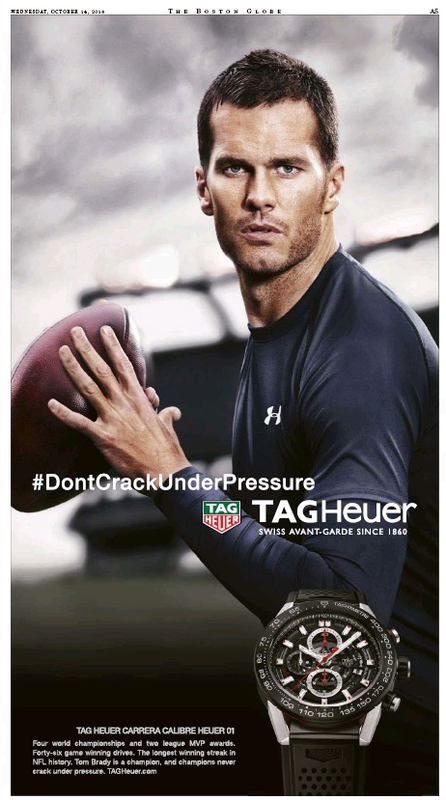 The not-so-special section features just four Pats-related ads, starting with this must-have. 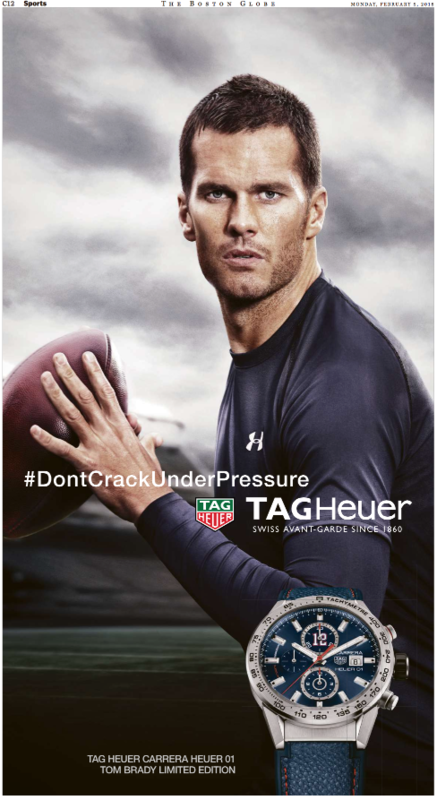 There are also ads for a New England Patriots Super Bowl LI Commemorative Fan Ring, the New England Patriots Super Bowl 51 Champions Legacy Decanter Set, and the First-Ever Tom Brady Gold Dollar. And feel just a little bad for the thirsty local tabloid. 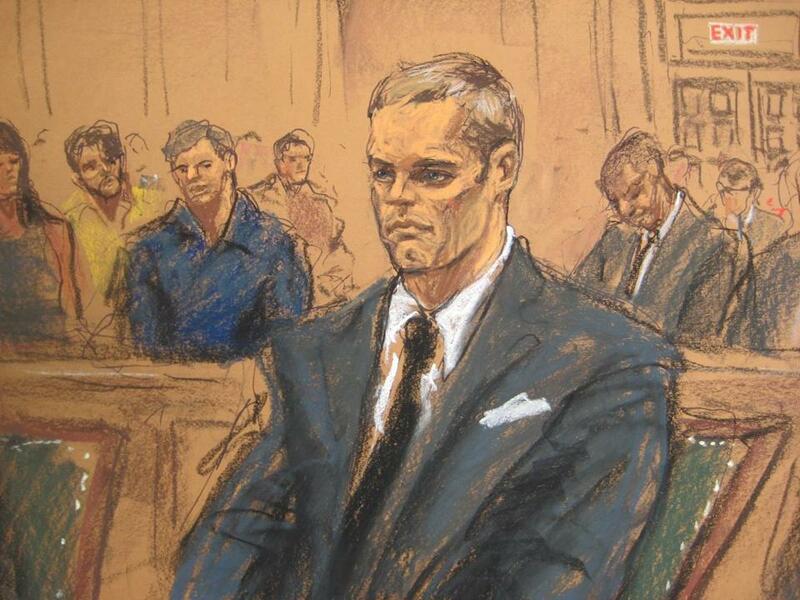 Brady Courtroom Artist’s Second Effort? Sketchy. 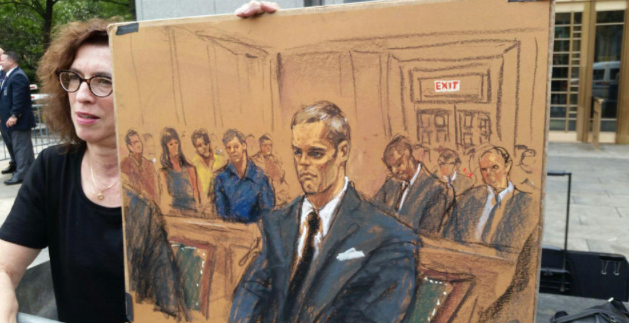 Poor Jane Rosenberg, the courtroom artist whose drawing of Tom Brady during a Deflategate hearing, well, blew up last month. Rosenberg got her mulligan yesterday, a matter of great interest here in Bradyville. The Boston Globe’s Namesniks gave her new sketch a thumb’s up. Everyone likes a good comeback story. On Monday, courtroom sketch artist Jane Rosenberg got hers. 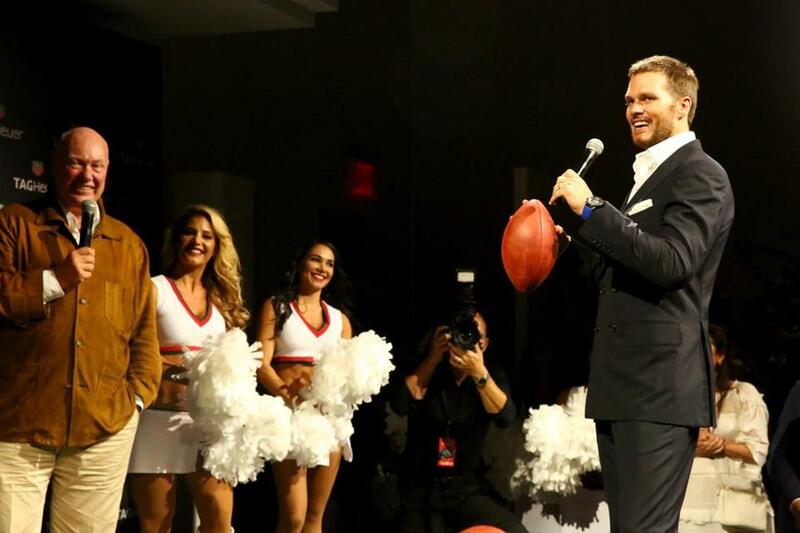 Rosenberg made national news Aug. 12 after her less-than-flattering sketches of Tom Brady from his Deflategate hearing went viral. She told the Globe that day, of her courtroom work, “I don’t tend to flatter people and make them look beautiful.” Later she said she received hundreds of e-mails from fans who were unhappy with the depiction of their quarterback. But on Monday, after Brady left the courtroom, Rosenberg unveiled her new look for the Patriots star. Looks more like the guy we know, right? 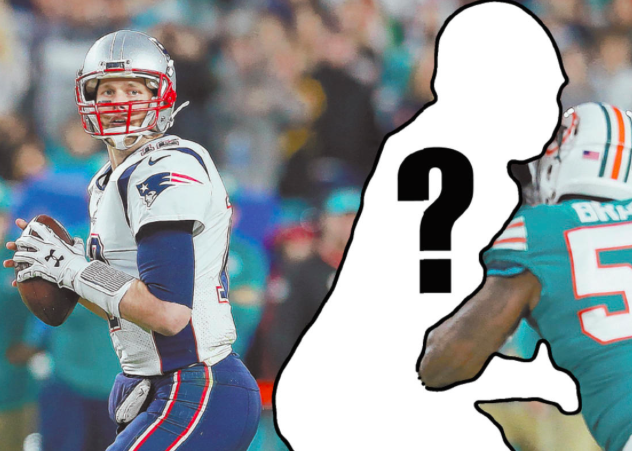 Actually, no, according to crosstown rival Boston Herald. Courtroom sketch artist Jane Rosenberg got another crack at drawing Tom Brady following a disastrous first attempt that depicted the Patriots quarterback as ghoulish and uncomely, opening her up to ridicule and scorn from Patriots nation. Unfortunately, her second sketch bears a striking resemblance to the wrong All-Pro quarterback. Trying to tone down the rigid features she gave Brady’s lower face in the first sketch, Rosenberg ended up extending and stretching Brady’s forehead, creating a figure that more closely resembles his rival, Denver Broncos quarterback Peyton Manning.